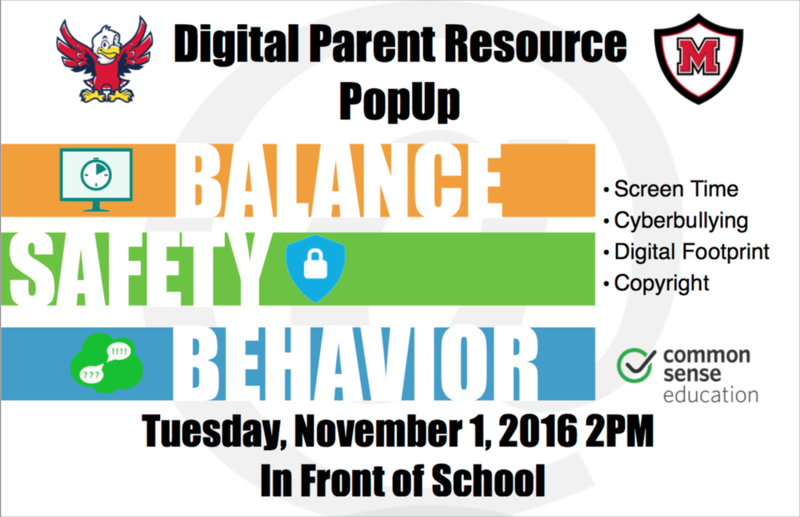 The 2nd Annual Digital Family Summit will be held at Manor High School on Saturday, November 12th from 9:00am-12:00pm. 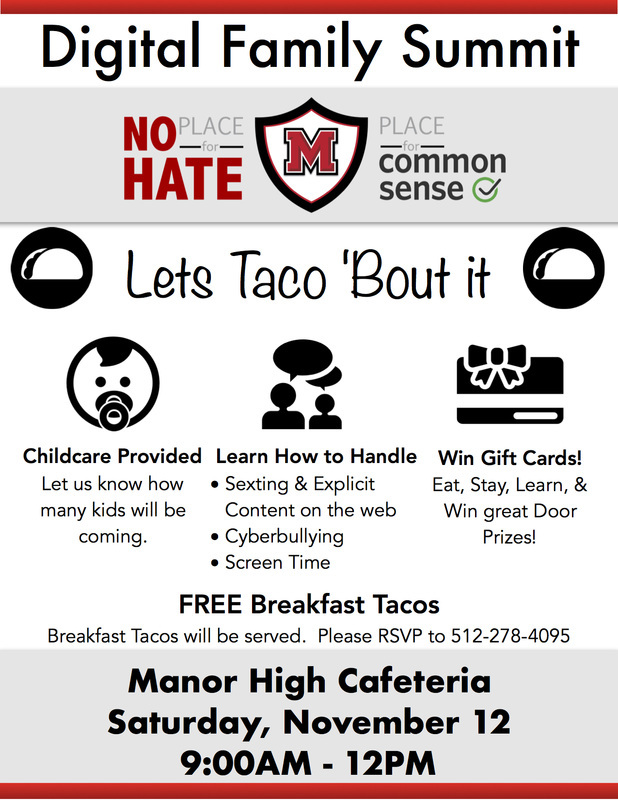 During this event, Manor families will attend a sit-down breakfast as well as a student-led discussion panel on the topic “Let’s ‘Taco’ ‘Bout Social Media and Digital Footprint.” Families will then head to their choice of breakout sessions on a variety of topics including: cyber safety, social media usage, body image in the media, sexting, appropriate screen time usage, etc. There will be a prize giveaway to conclude the event. RSVP for Childcare at 512-278-4095. This Summit will help Manor ISD to renew its designation as a No Place for Hate district and will count towards our Common Sense Media District Designation​.